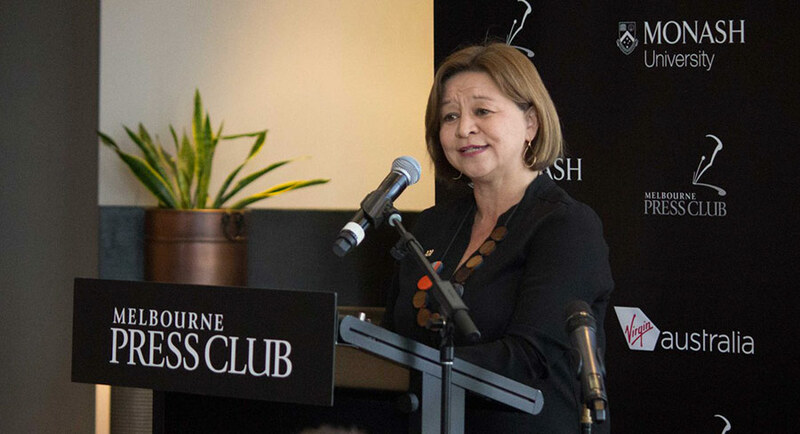 The ABC managing director, Michelle Guthrie, has departed from the role. She joined the company in 2015. The ABC managing director, Michelle Guthrie, has departed from the role. She joined the company in 2015 and was nearly half way into her five-year term. ABC chairman Justin Milne announced the news this morning. 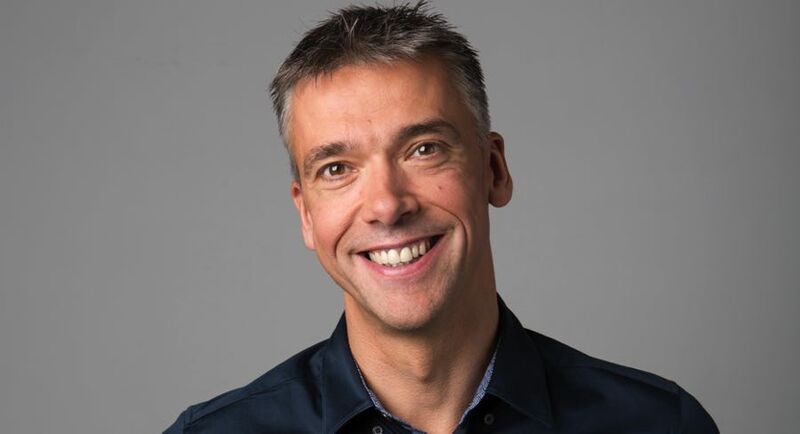 The public broadcaster’s director for entertainment and specialist David Anderson will be the acting MD until the role is filled on a permanent basis in the coming months. The shakeup at the top of the executive rank follows months of discussions that concluded when directors resolved that it was not in the best interest of the ABC for Guthrie to continue to lead the organisation. The search for the new MD has commenced. By law, managing directors are selected by the ABC board independently of the Government and Opposition of the day. “In resolving to seek fresh leadership, the board’s foremost consideration was the long-term interests of our own people and the millions of Australians who engage with ABC content every week,” Milne said. “This decision has been driven by our commitment to deliver the best possible outcomes for our loyal audiences and the best possible experience for our own people. “We understand that transitions can be disruptive in the short term. However, the ABC is fortunate to have an experienced and capable executive team that will provide continuity in the months ahead. In a statement, communications minister Mitch Fifield has thanked Guthrie for her services in a statement and has said he respects the ABC board’s independence and decision. Within the first hour of this news breaking, the Australian trends on Twitter was dominated by topics related to Guthrie’s departure. At the time of writing this, “Michelle Guthrie” was the national top trend, followed by “ABC board”, “abc boss”, “Ms Guthrie”, and “Justin Milne”. New research launched at Adshel’s industry events last week in Sydney and Melbourne has identified significant and surprising changes in the way Australians commute to work. 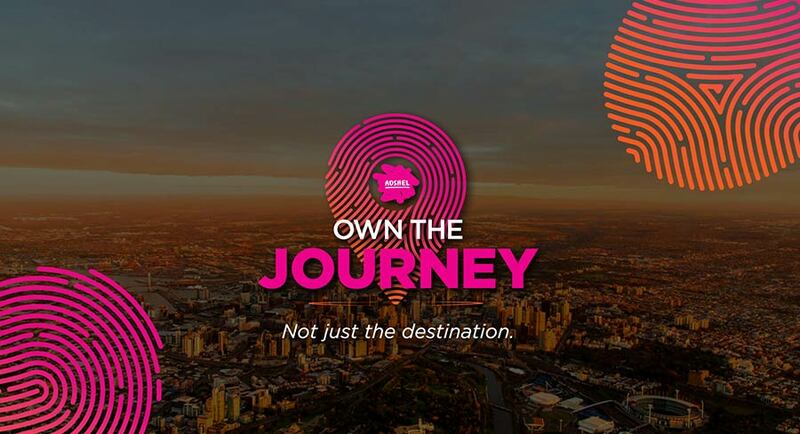 The research report titled “Own the Journey, Not Just the Destination”, commissioned by Adshel, investigated the behaviour of Australian commuters in our major cities to get a better understanding of how commuter audiences are feeling, what they’re doing, and how they’re interacting with advertising during their commute. • Commuters see out-of-home advertising as less intrusive and annoying, and more trustworthy than other advertising. Adshel’s study shows that while Australians are travelling for longer periods to get to and from work or study, they are reframing their commute as a positive “transition time” between home and their destination. With time the greatest commodity, Adshel says the daily commute has become valuable me time, a chance to catch up on emails and social media, research holidays, listen to music or just relax. 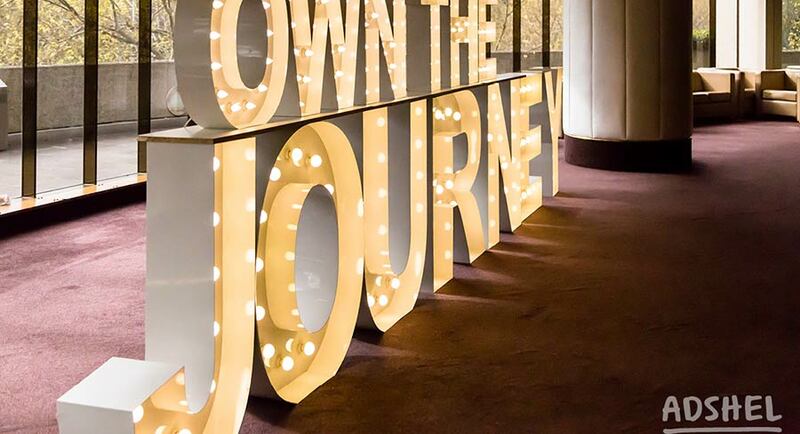 Adshel’s research report “Own the Journey: Not just the destination” can be downloaded here. APN Outdoor has released details of Go Out With Us, an exclusive research report it commissioned on the spending habits of Australians over summer. Drawing on Dn’A, an in-house data and analytics capability launched by APN Outdoor in July this year, Go Out With Us offers new insights into how people behave over summer and how their spending spikes in a myriad of product categories. 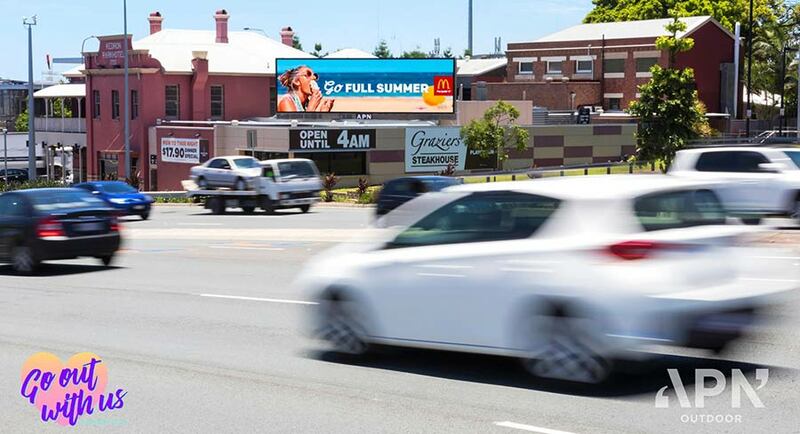 APN Outdoor general manager, marketing, Charlotte Valente, said: “People’s behaviours change over the summer, which can make them harder to reach with advertising messages. Valente said insights from Dn’A – which include over 34 billion data points covering transactional, behavioural and segmentation data – give APN Outdoor a unique ability to understand audiences and work with advertisers to create innovative campaign solutions that will have smarter impact. “Dn’A offers advertisers the ability to connect our audiences’ intentions with their actions. Through our IRIS research we can understand what audiences claim they will do and feel, and Dn’A allows us to cross-reference this with their actual behaviour. Fairhurst added Dn’A had already been used by several clients to create marketing plans for summer. Australia’s historical ties and cultural similarities with Britain make it a very important market for BBC Studios’ scripted content. The organisation’s director of scripted (drama, comedy and children) content, Liam Keelan, was recently in Sydney to promote BBC First Australia’s offerings for 2019. Some popular shows to come from BBC Studios that fall under Keelan’s remit include Call The Midwife, Luther and Doctor Who. A fundamental part of his job is reading scripts and watching previews before they go to air. “I am also having conversations with writers about ideas for dramas and how they see them developing,” he said. Therefore, Keelan has inherently become a master at keeping secrets to ensure no spoilers get leaked. This is particularly the case for shows like Luther and Doctor Who, which have a massive fan following. “They want to know every detail about the show. You have to keep mum at all times,” Keelan said. Being a public broadcaster, the BBC’s mission is “to enrich people’s lives with programs and services that inform, educate and entertain”. Therefore, the increased investment in dramas is justified, Keelan said. This is an excerpt from the full article, which appears on Mediaweek Premium. Read the full article here or subscribe to Mediaweek Premium here. Your Money, the new business, personal finance and luxury lifestyle channel that is a joint venture between News Corp Australia and Nine Entertainment Co, will launch on Monday October 1 at 6am live on free-to-air channel 95 and Foxtel channel 601. Your Money is branding itself as a 24/7 TV and digital destination for business news, personal finance information, in-depth real estate coverage and a raft of luxury and lifestyle programming. The new channel brings together leading Australian business journalists Ticky Fullerton, James Daggar-Nickson, Ingrid Willinge, Leo Shanahan, Leanne Jones and Adam Creighton, together with Real Estate hosts Sophie Hull and James Treble. Also announced today, Your Money will feature a new primetime business program airing live each weeknight from 6pm to 8:30pm, Your Money Live hosted by Brooke Corte and Chris Kohler. Each weeknight Corte and Kohler will help make sense of the day’s events, cut through the jargon and present complex finance stories in an entertaining and engaging way. For Corte this marks a return to the business arena after she was one of the founding anchors of the Sky News Business channel a decade ago. Your Money will also feature a variety of dedicated personal finance and lifestyle programs across multiple genres. From 8:30pm each weeknight audiences can tune into bespoke programs, including Money Talks with Peter Switzer (Mondays), Swipe with James Daggar-Nickson for all things technology (Tuesdays), CarAdvice with Paul Maric and Trent Nikolic (Wednesdays), Entrepreneurs with Jack Delosa (Thursdays) and Business Class with James Wilkinson (Fridays). Weekday programming begins with Business Breakfast at 6am with Leanne Jones. From 9am, Trading Day: The Countdown with James Daggar-Nickson sets up the local session, featuring experts from the nation’s top banks and brokerages and all the morning’s breaking news. Then from 10am Daggar-Nickson hosts Trading Day: The Open providing up-to-the-minute coverage of the corporate and economic news moving Australian markets with in-depth analysis from expert guests and featuring interviews with some of the nation’s business leaders. From 11am through to 4pm, Trading Day Live will be hosted by Ingrid Willinge and Adam Creighton to bring you continuing coverage of the local trading session as it unfolds, along with analysis of the big economic news of the day. They’re joined by some of the country’s top business minds, economists and investors. At 1pm share market experts are on hand to answer your questions. From 4pm on Trading Day: The Final Count, the Your Money team looks at the day’s big market movers and the corporate stories of the day. Business and politics meet each weekday at 5pm with award-winning business journalist Ticky Fullerton hosting the flagship business program Ticky, featuring exclusive top-floor interviews with Australia’s corporate elite, leading economists, regulators and political figures, along with the best in national and international business news. Business reporter Leo Shanahan joins Ticky with live breaking business news and exclusives. Nightly from 11:30pm the channel will feature the Fox Business Network US coverage. 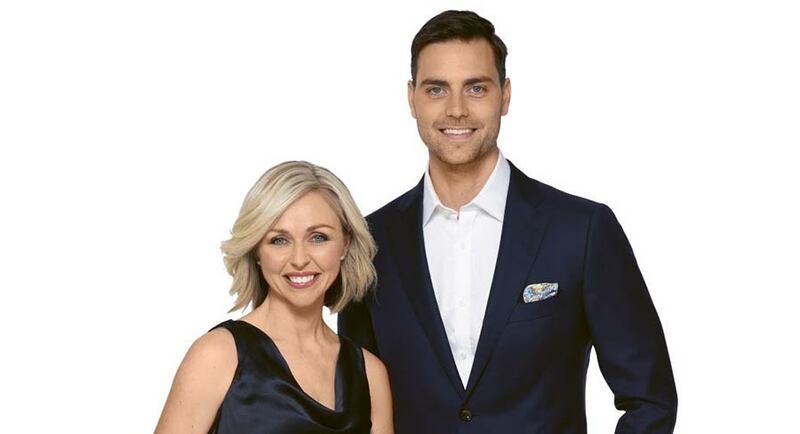 Saturdays from 8.30am will feature Sophie Hull and James Treble hosting Auction Day, the only Australian real estate show featuring live auctions from around the country. Your Money will also launch on yourmoney.com.au, along with Twitter, Facebook and LinkedIn. Online, Your Money will feature exclusive business, wealth, real estate and lifestyle content, along with all the highlights from the TV channel. Your Money will broadcast simultaneously on free-to-air Channel 95 (part of Nine’s digital spectrum) and on Foxtel Channel 601. The channel will also be available on streaming services Foxtel Now, 9Now and at yourmoney.com.au. Week four of our deeper dive into radio ratings around Australian metro markets stops in Adelaide this week. There is a one-week break in radio ratings to coincide with the September school holidays. Many radio shows around Australia are taking advantage of the last ratings break this year before survey ends on December 7. Many of the big FM shows with a heavy sports theme – on Triple M Sydney and Melbourne for example – are working through the break. In Adelaide both Triple M and Fiveaa breakfast teams report for work this week too. 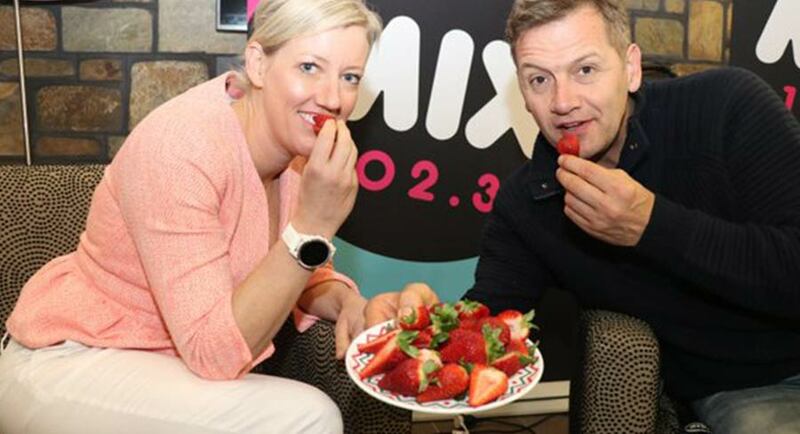 Taking advantage of the ratings break in Adelaide this week is the breakfast show at Mix 102.3, Jodie and Soda. (We didn’t hear any mention of a Best Of program when we listened this morning, but it sounded like one.) Their breakfast show narrowly trails Fiveaa by 0.6 with David Penberthy and Will Goodings on 14.6%. The Mix breakfast show is not quite the highest-rating part of the day at the perennial Adelaide #1 station. That accolade belongs to afternoon with a share of 18.5%, with morning next on 15.5% and drive on 14.6%. With a few other distractions around the network, ARN programming boss Duncan Campbell doesn’t have too many concerns about the Adelaide market. “We have no issues in Adelaide and that is the eighth #1 FM breakfast show result for Jodie and Soda,” Campbell told Mediaweek. “On the FM band there is daylight between Mix and everyone else. Survey 5, 2018 was the sixth consecutive #1 survey win for Mix 102.3. 2018 has been a brilliant year for the station. In 2016 Mix broke above 15% just once, in 2017 the station only just made it to 13% once, but this year it has been over a 15% share for four of the five surveys. Breakfast is also having a cracker of a year with share of 14% or better in four of the five surveys, something it only achieved once in the previous two years. Today Tonight Adelaide sets new winning streak record: 700 weeks! Today Tonight, Seven Adelaide’s weekday ratings machine, has claimed a record 700th consecutive winning week of official ratings. After being replaced along the east coast by an extra half hour of Seven News, the daily current affairs program continues successfully in the Seven schedule in Adelaide and Perth. There are still some who feel the format should be back on air in all metro markets. In a stirring speech recently in Sydney at the Kennedy Awards, Seven reporter and producer David Richardson said the format is not dead. Hosted in Adelaide by Rosanna Mangiarelli, Today Tonight has the longest winning streak since the introduction of the people meters ratings system in 1991 and one of the greatest winning streaks since the first night of television in Adelaide in 1959. Today Tonight’s unbeaten run began on March 26, 2001. It has won the 6.30pm to 7pm weeknight slot every week since, totally dominating everything that has gone up against it. Today Tonight premiered on January 30, 1995 with Leigh McClusky as host. Over the years Today Tonight’s hosts have also included Paul Makin, John Riddell and Mike Smithson. Rosanna Mangiarelli began her role as host in August 2007. Slow start: Today Tonight’s success is even more remarkable considering it took 258 programs before it won its first night of ratings (May 15, 1996) and 100 weeks exactly before it won its first week of ratings (July 1997). Source: OzTAM. Official survey weeks March 26, 2001 to September 21, 2018. 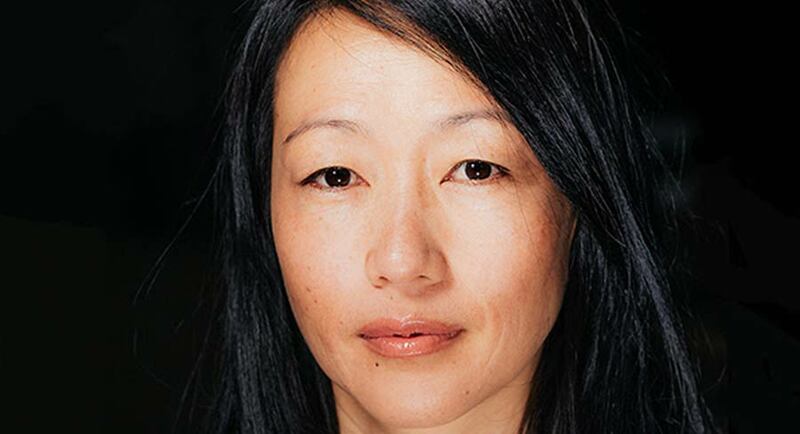 Bernadine Lim (pictured) is joining Screen Australia, where she will oversee its documentary unit and report to the head of content Sally Caplan. “Bernadine’s industry knowledge and expertise across a myriad of formats and genres make her the perfect choice for this new role as the head of the documentary unit. She is passionate about the power of documentary as a form of storytelling and will be a fantastic asset not just to the agency, but to the sector as a whole,” said Caplan. Lim joins Screen Australia having most recently been the executive producer of SBS program Dateline. She joined the award-winning international documentary current affairs program in 2014 as supervising producer and became executive producer later that same year. Prior to Dateline, Lim was a series producer on Hamish Macdonald’s foreign correspondent show The Truth Is? for Network Ten and was nominated for an Australian Academy of Cinema Television Arts (AACTA) award for Best Direction in a Documentary for Once Upon a Time in Cabramatta, a landmark three-part series for SBS Television. Born in Malaysia, Lim studied media, law and communications in New Zealand. Her films World’s Most Dangerous Journey and Lost Children of China have attracted several awards including two Gold medals at the New York Festival’s Film and TV awards. During her time in New Zealand, the United Kingdom and Australia, she produced and directed both original content and format shows for BBC World, National Geographic, Discovery International, TVNZ, TV3, NBC Universal, CNBC and SBS television. Lim also spent two years at BSkyB promos in London as a creative producer and over her career has directed a range of commercials, music videos and produced several short films. Screen Australia is investing over $9 million in funding for five films, five television series and two online series. Screen Australia’s head of production Sally Caplan said, “It’s fantastic to see such a variety of stories being funded across multiple platforms, which will not only develop careers but provide Australian and international audiences with engaging, thought-provoking content that can cut through in this marketplace. “Promoting diversity and inclusion in Australian screen stories is imperative and I’m thrilled the projects in this slate have embraced these values. We relish the opportunity to support the development of emerging screen talent, and this slate includes a feature debut from Roderick MacKay, who will direct The Furnace, a project with strong multicultural characters and themes. • Animated feature film Combat Wombat from Queensland-based production team Like A Photon. Like A Photon’s Ricard Cusso Judson will direct the film alongside Matt Everitt as consulting animation director (The Lego Batman Movie). • An Australian feature titled I Met A Girl from the team behind the award-winning web series High Life including producer Adam Dolman, writer Glen Dolman and director Luke Eve with producer Melissa Kelly (Hounds of Love). Screenwest, Create NSW and Soundfirm have invested in the production. • The Furnace is being written and directed by Roderick MacKay. It’s his first feature film and is being produced by Timothy White and Kelvin Munro (I Am Mother). • The Wishmas Tree is the first film to go into production from Like A Photon. Ricard Cusso Judson will direct the film and Peter Ivan (Oddball) has written the screenplay. A further film project will be announced in the coming weeks. • No Activity: The Night Before Christmas, a Christmas special based on the Logie-nominated Stan Original series No Activity. It will feature Patrick Brammall, Darren Gilshenan, Harriet Dyer, Genevieve Morris, Dan Wyllie and David Field. Writer-director Trent O’Donnell returns with Bridget Callow-Wright serving as series producer and Chloe Rickard and Jason Burrows as executive producers on this next instalment for Stan. Four other projects will be announced in the coming weeks. • Lucy and DiC, a new 1×60-minute / 8×7.5-minute comedy show produced by We Made a Thing Studios and based on a short film from 2017, starring emerging live performer Lucy Gransbury and the voice of popular YouTuber Ethan Marrell (from Ozzy Man Reviews). The short film received over 1.5 million views across YouTube and Facebook. The show is created by Tom Phillips and Jeremy Kelly-Bakker. Adelaide Film Festival and South Australian Film Commission have also invested in the production. The project will have its first two episodes premiere at the Adelaide Film Festival in October. • Internment, a 6×10-minute web series, has been written by Helena Ruse, Andrew Mills and Pippa Mills, and directed by Andrew Mills. For this project the creative team, who are also alumni of the Fresh Blood initiative, will receive support from experienced production company Ruby Entertainment, which is producing the series. Dean Lewis has been toppled from top spot by George Ezra whose Top Gun has taken the slow road to the top finally clinching the title after 10 weeks. The song, a former UK #1, is Ezra’s first chart-topper in Australia. Lewis hasn’t fallen far, mind you, sitting just at #2 after 12 weeks on the chart, five of them at #1. The only new entry in the top 10 this week is at #8 with Marshmello & Bastille’s Happier up from #13 in its fifth week on the chart. American DJ/producer Marshmello makes the top 10 for the fourth time, while Dan Smith’s British group Bastille appear in the top 10 for a third time. No change at the top with Kamikaze from Eminem spending a third week at #1. #4 Carrie Underwood with Cry Pretty. The sixth album from the US country singer is her third top 10 album, and third to peak (so far) at #4. #6 6lack with East Atlanta Love Letter. The second album from Atlanta singer-songwriter/rapper 6lack is his first time on the ARIA chart. #9 David Guetta with 7. The seventh album from the French DJ and producer is his first album in four years. In 2014, Listen peaked at #11. #20 Billie Eilish with Don’t Smile At Me. The first album from the US singer/songwriter. #24 Good Charlotte with Generation RX. The seventh album from the US rockers will have to get some momentum to equal the success of their sixth – Youth Authority – which hit #1 just over two years ago. #28 Jungle with For Ever. Second album from the British soul collective. #32 Tony Bennett and Diana Krall with Love Is Here To Stay. The two music legends celebrate the music of George and Ira Gershwin. #42 Dreams with No One Defeats Us. Not a massive chart debut for the collaboration between Luke Steele and Daniel Johns. The SMH famously described a Dreams Vivid live show earlier this year as an “unlistenable nightmare”. 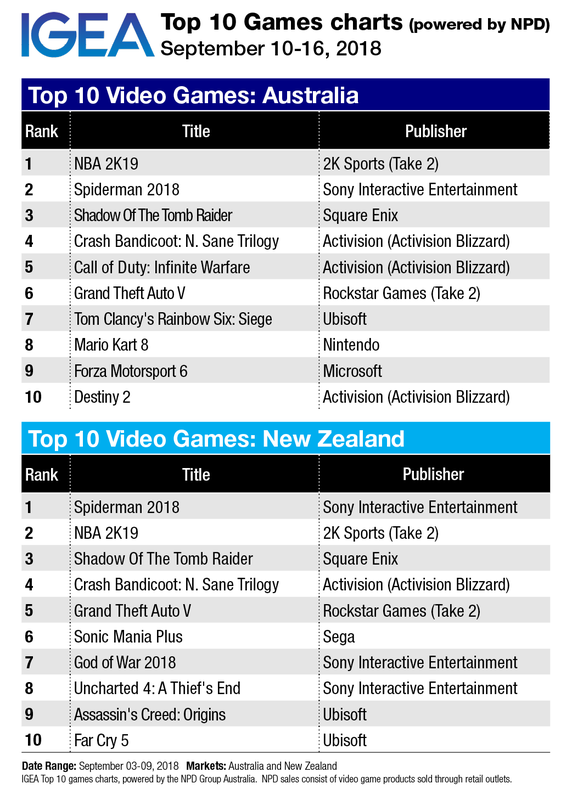 Just some minor shifts in the Australian games charts this week as Spider-Man and NBA 2K19 trade places at the top, and Shadow of the Tomb Raider arrives in third spot. 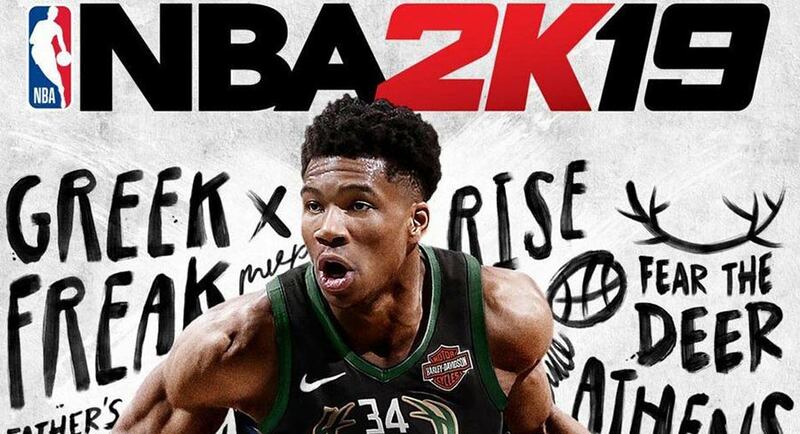 NBA 2K19 pipping Spider-Man for first place is impressive considering how well Spider-Man has been received by the press and punters alike, but it’s worth remembering that NBA 2K19 is a multiplatform game and it’s one of the highest-selling sports series on the market. As we mentioned last week, it also has a special regional exclusive cover in Australia and New Zealand, featuring NBA Rookie of the Year Ben Simmons – the first Australian to feature on the cover of an NBA 2K game in the series’ 20-year history. Shadow of the Tomb Raider, which forms the third and final chapter of the rebooted Tomb Raider series that began with 2013’s Tomb Raider, scored a rave review on IGN and “offers up a powerful finale to Lara Croft’s origin story.” It was released on a Thursday, so only has a few days of sales to its name at the time of these charts. Don’t be surprised if it leaps to the top by next week. Unlike the previous instalment Rise of the Tomb Raider, which was a timed-exclusive on Xbox, this latest Lara Croft adventure is a multiplatform release. It certainly doesn’t attract the biggest TV crowds. However, breakfast TV is more examined than any other timeslot. Karl Stefanovic attracts many of the headlines, as have both Sam Armytage and David Koch in the past. More recently it has been Karl Stefanovic again. The security of employment is talked about more for breakfast TV hosts than anyone else – with the possible exception of Nine’s Sam Newman. Mediaweek is starting this daily examination of the program ratings in response to massive interest in the timeslots! Seven has long dominated the national numbers, but the key stats to also watch are who is winning in Sydney and Melbourne. After winning the 6pm timeslot, the channel’s best was 696,000 for Sunday Night, which made a rare appearance in the 7pm timeslot. The numbers were up from 611,000 a week ago. Last night featured a compelling story from Matt Doran, which filled more than half the episode, with an interview with Mary Kay Letourneau, a 34-year-old US teacher who made headlines when she seduced a 12-year-old boy. Seven then showed the first episode of the US series made with the ABC network and People magazine, The Story Of The Royals, which launched with 493,000. 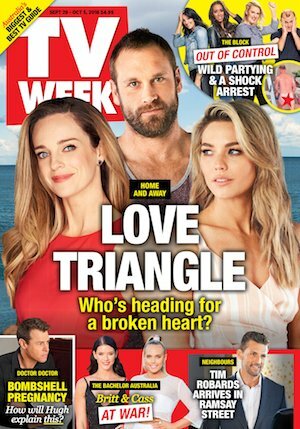 The channel again dominated the start of the ratings week with massive crowds again for The Block. The popular triple room reveals showed off some very impressive renovations work, but some pretty big fails too. The audience of 1.26m was down on last Sunday’s 1.34m. 60 Minutes followed, featuring the Nine Network’s political editor Chris Uhlmann speaking with former Foreign Minister Julie Bishop, who commented Australian politics has become an international joke, the “coup capital of the world”. The audience of 715,000 was a good result, bigger than Sunday Night’s audience earlier in the night. 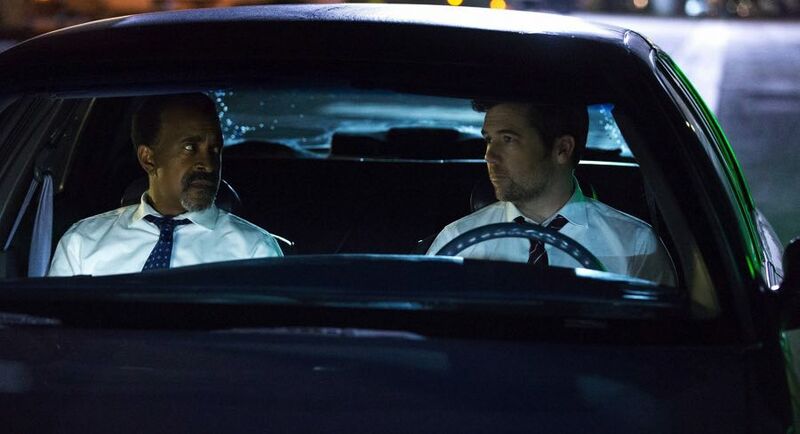 The Sunday Project was the only primetime offering to make the top 20. The much-discussed Lisa Wilkinson interview with Serena Williams attracted a bigger crowd with 404,000 watching after 315,000 tuned in after 7pm last week. Highlight of the interview, as it is always, was when a publicist stepped in asking Wilkinson to stop asking about the controversial US Open. At 7.30pm the channel went with a movie – the 2006 family animation Happy Feet – that did 140,000. Part one of Joanna Lumley’s Silk Road Adventure launched with 576,000. It’s the latest of Lumley’s wonderful global travel adventures and tracks her trip from Venice to the Chinese border. She and her team must have been up early to see her on the streets and canals of Venice with few others in sight. The latest episode of Rake then did 432,000, down on 505,000 last week. Two repeats led the ratings at SBS – Rome’s Invisible City with 180,000 and then Easter Island: The Truth Revealed on 148,000. 21st Century Fox is considering its options regarding its 39% shareholding in Sky after Comcast outbid the company in a weekend auction for the British broadcaster, reports The Wall Street Journal. The £29.7 billion (US$53.3bn) bid ended a months-long takeover battle and promises Comcast a greatly expanded international footprint. Comcast’s offer of £17.28 a share surpassed Fox’s highest bid of £15.67 after three rounds of bidding on Saturday, in a rare auction held by British regulators. The £29.7bn valuation was by far the highest ever for such a process in Britain, which has conducted a handful of smaller auctions to settle intractable bidding wars. Despite Comcast’s win, the takeover isn’t a certainty unless it can win support from more than 50% of Sky’s shareholders to support the offer. That seems likely given the wide gap between the bids. Rupert Murdoch’s dream of taking full control of Sky dissolved on Saturday night as he was outbid by the US firm Comcast. But anyone celebrating a setback for the mogul should be warned. The most divisive figure in Britain’s media may still have the last laugh, reports The Guardian. Murdoch’s abrasive and headline-grabbing era in charge of Sky came to an end in a high-stakes auction. There was no head-to-head faceoff across a boardroom table: it was a simple email that sealed the future of Sky after a bruising battle between Fox and Comcast. The Comcast deal is likely to have a bigger impact on the Murdoch dynasty. James Murdoch, currently chief executive of 21st Century Fox and chairman of Sky, is set to leave the family business as a result of the Disney deal, despite at one point being tipped for a top job at the combined business. His older brother, Lachlan, is now is a better position to take over what remains of the Murdoch conglomerate, having returned to the fold in 2014 and currently serving alongside his father as executive co-chairman of News Corp.
A damaging rift has developed between ABC chairman Justin Milne and managing director Michelle Guthrie over the future of the ABC, reports The Australian’s Stephen Brook. The pair have clashed over a number of key projects and how to deal with a hostile Coalition government as the ABC prepares its case for its next round of three-year funding, its triennial budget. A number of executive sources inside and outside the ABC say there is little contact between the two executives, and that Milne is more frequently in contact with other ABC executives. The Australian spoke to a number of current and former ABC and industry executives who requested anonymity. Some regard Guthrie as lacking some skills needed to run the national broadcaster and not being an effective lobbyist in Canberra, while others say Milne was too close to former prime minister Malcolm Turnbull and criticised him for lobbying politicians in Canberra directly and dealing directly with ABC executives. Just like some of the “news” you find in your Facebook feed or via Google, the crisis of trust in traditional news media is not real, writes News Corp editorial executive Alan Oakley in The Australian. What’s real is a growing distrust of social media and search. Less than a quarter of Australians trust social as a news source and less than 40% put their trust in search engines for news, according to the Edelman Trust Barometer 2018. In contrast, trust of authentic mainstream journalism is growing – up from 46% last year to 61% this year. Both Google and Facebook are undertaking a charm offensive to distribute the blame for the crisis of trust that has engulfed them, a crisis that is confined to them, is entirely of their own making and is theirs to solve. 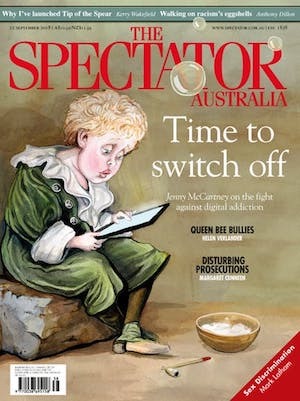 The University of Technology Sydney report, Trust and News Media – funded by Facebook and with participants selected solely through Facebook – is regrettably another example of Big Tech funding cherry­picked partnerships and highly selective academic research projects to spin their way out of their crisis – just as Big Tobacco tried to do when the world woke up to its destructive addiction. The comparison is real: both Big Tech and Big Tobacco peddle the same thing – addictive engagement (anyone who has teenage children understands that technology comes with a social cost). In a few weeks Michelle Guthrie will reach the halfway mark in her five-year term as managing director of the ABC. Time for a midterm check: how is she doing? What has she achieved? What is still to be done? asks The Australian’s Mark Day. Guthrie must be given credit for her achievements to date, but the areas where further action is needed are upfront and, from an audience perspective, in your face. The news division is a shambles. The flagship ABC nightly news on TV is sloppy, unfocused, lacking in credibility and infused with regular grammatical atrocities. There was a time when the news majored in national politics, international events and state politics but the steady hands that packaged a sober and reliable summary of the day’s events have gone. The ABC news has forfeited its past claims of credibility. It is SBS that now provides the sober, reliable and credible news that audiences deserve. At the halfway point, I’d give Guthrie two-and-a-half stars out of five. Not bad, but much to do. Veteran journalist Paul McIntyre has returned to The Australian Financial Review. Most recently editor-at-large at MCN, where he worked under former CEO Anthony Fitzgerald, McIntyre is now a contributing editor at The AFR. It is his third time at the Fairfax Media brand since the early 90s, in between time spent writing for The Australian, The SMH and a long stint at Yaffa Publishing. Today The Australian Financial Review launches CMO Brief, an expansion of our Marketing & Media pages to cover some of the challenges industry faces in its growth strategies and the often touted corporate mantra of “the customer”. There are enormous opportunities and new demands on chief marketing officers, particularly as technology-led change continues to shake out business strategy. But as today’s conversation highlights with Lorna Davis, a classically trained marketer who spent a decade in Australia before a formidable global rise to run multibillion-dollar units at Kraft, Mondelez and Danone, the marketing growth agenda is not just about technology and digital transformation. Brand owners must also navigate fundamental questions around what they stand for in society and whether they should embrace more unorthodox and explicit “purpose-led” corporate positions like Nike’s most recent efforts with NFL footballer Colin Kaepernick. Ticky Fullerton’s award-winning business program, Ticky, will headline the new Your Money channel, which will simulcast on Foxtel’s channel 601 and Nine’s digital channel 95 when it launches on October 1, reports News Corp’s Holly Byrnes. 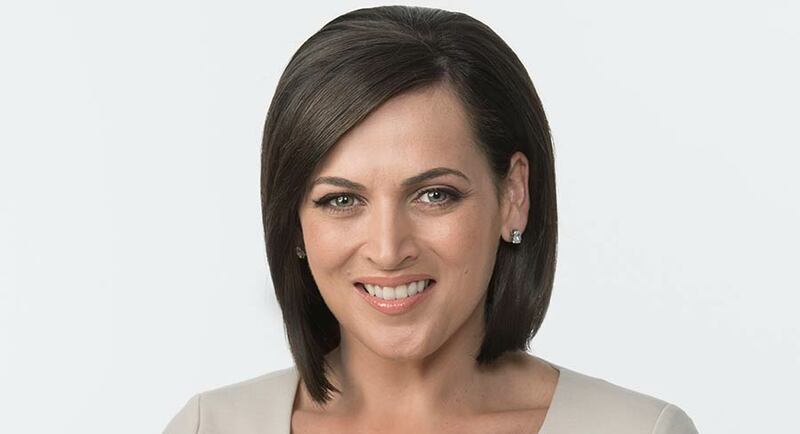 Former Sky News First Edition host Brooke Corte will anchor a new evening news program, Your Money Live, with co-host Chris Kohler. The youthful combination will chase a broader demographic in the hope of engaging a new generation in “becoming financially literate”, Corte said. Kohler, a former business editor and emerging finance media star, will go up against his father, ABC veteran Alan Kohler, in the 6pm timeslot, welcoming the competition. Your Money will track stock market movements in its Trading Day programs, from 9am until closing, before Fullerton will interview business leaders and politicians on the issues of the day, from 5pm. Specialists programs across the week’s schedule will also canvas real estate, motoring, personal finance, small business and luxury lifestyle. See also separate feature on Your Money today. Nine’s chief executive Hugh Marks has spoken out publicly for the first time about Today host Karl Stefanovic’s personal life and rampant speculation that he will be replaced in the new year, backing him amid softening ratings, reports The Australian’s Darren Davidson. “Clearly, it’s been a tough and challenging year for Karl and Today,” Marks told The Australian yesterday following reports claiming that Stefanovic will be removed in early 2019 before his contract expires at the end of 2020. Rumours in media circles claim that Today executive producer Mark Calvert is also in the firing line, but Marks indicated he is fully behind Calvert, who is working on a revamp of the show to regain viewers after it fell below the 200,000 metropolitan viewers threshold on Tuesday. The Australian Baseball League is set to clinch a domestic broadcast deal with sports network Fox Sports, complementing what will be several new television contracts for an Australian sport to be shown in several Asian countries, reports The Australian’s John Stensholt. Fox Sports will telecast 40 matches of the ABL during the upcoming summer, as well as the finals series in late January and early February. The network will show up to four games weekly, usually between Thursday evening and Sunday afternoon. But the ABL will also have all the games of a new team based in Geelong owned by a South Korean sports marketing and advisory consortium telecast to Korea, and is also on the verge of signing deals to show matches to Japanese and Taiwanese audiences.